It's a true American success story that keeps getting better with time. 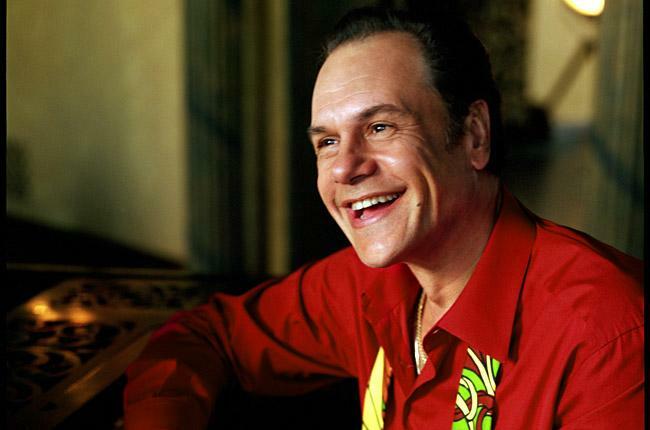 2013 marks four decades of music from disco kings KC and the Sunshine Band, and founder Harry Wayne Casey says he is enjoying the beat as much as he ever has. "It feels great," he told Billboard of their 40th anniversary. "I'm healthy and alive, and doing what I love to do." The fact that the KC catalog continues to sell – and sell well, is a sort of validation, says the Miami native behind hits like "Get Down Tonight," "That's The Way (I Like It)" and "(Shake, Shake, Shake) Shake Your Booty." "For so many years, they tried to put us down and tear us apart in every shape and form," he said. "So, now, I get a little bit of the last laugh that the songs are sung at every major sports event, and used in movies and television. I think it adds legitimacy to the songs, and gives them some true merit to what they were and what they are." While the band's dance-friendly singles might lead one to think it was all a big party, Casey says it was a different story. "I was in the studio working on the next project, 24-7-365, except a few times when we went out to tour. My life was work all night, sleep all day, and I didn't watch much TV or do anything much but work. By the time I finished recording one song, I was tired of that one, and was on to the next record. I took a lunch break, and a dinner break, and that was the 1970s," he says looking back. Casey also said that getting used to success -- or the idea of being successful has taken a while. "I remember it being a very lonely period. I felt very isolated, and didn't know where I fit in. Where I thought I wanted to fit in, I wasn't allowed to fit in that niche. It's taken me forty years to get comfortable with all that and think 'Hey, dude. You're KC of KC and the Sunshine Band." The group will mark its 40th with an extensive tour, and there is also new music on the way. "I started working on a new album last year, which has turned into a two-record set. One album is 60s classics, and the other is going to be more contemporary, mixed in with KC and the Sunshine Band. I'm very excited about it," he said. "I think it's one of the best albums I've done with some of the best writing. Hopefully, I'll have it done by April or May of this year. That's my goal. I still have a lot of work to do on it. In the meantime, Casey has a new single, "I Can't Get You Out of My Mind," that will be released to radio soon. And there are other projects, too. "I just finished taping the Paula Deen show, which will air on March 16, and there will be some more TV coming up." Casey hopes 2013 will be one to remember. "I'm ready to do it all again. Who knows what God has in store for me. It's his will, and he knows where I'm going, so I'm just going to enjoy the ride, and see where it takes me."